I like you so much... I wanna ride tandem with you. NEW! 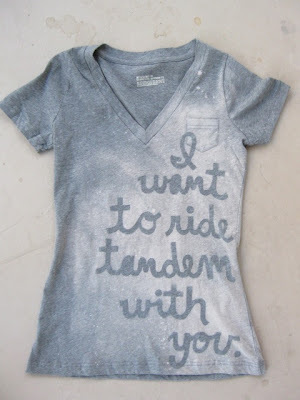 "I want to ride tandem with you," handmade, boy cut v-neck shirt from against the grain. If you don't have a pair of TOMS now... you're gunna need some.